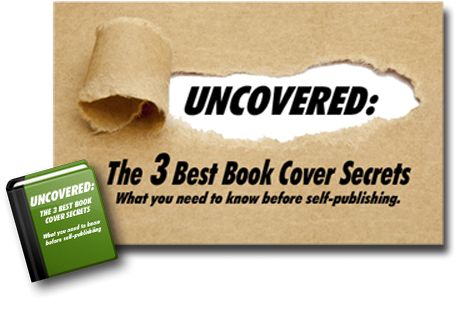 As a self-published author, you know your book’s cover is your most important point-of-sale marketing tool. A good cover design is key to the success of your book. But how do you know if and when a redesign is necessary? 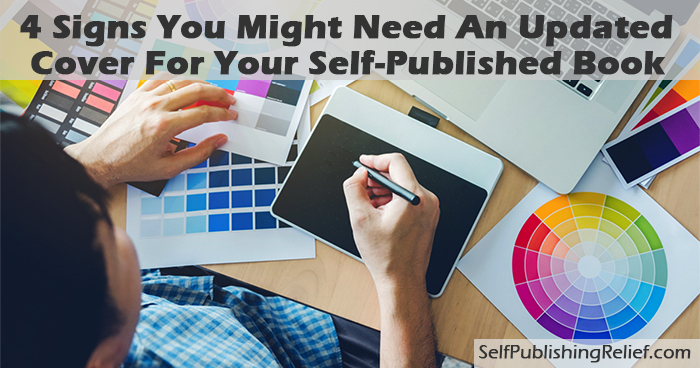 Self-Publishing Relief has identified four signs that you might need to update your cover. The book isn’t selling well. Unless you’re a best-selling author with a huge following, selling books isn’t easy. Poor or decreased sales might be an indication that your cover isn’t doing its work as an eye-catching sales booster. Examine your book cover with a critical eye: Does it misrepresent your story in some way? Is the artwork beautiful but not a good fit for your genre? Does it look too low budget? Is it too generic? There are many other elements that may result in lackluster sales, so you can’t always blame your cover art. But it’s important to make sure your cover is not driving potential readers away. You can now afford to hire a professional designer. Did you design your book’s cover yourself in order to save money? If you can now afford to hire a professional, it will probably be worth the investment to give your book a fresh new look. Although you may be proficient with tools such as Photoshop, readers can spot an amateur book cover from a mile away. And if they think your cover is chintzy or that it looks like you cut corners—they’re going to think the same thing about the story between the covers. A professional cover designer knows how to make font and composition decisions that fit your story and genre in order to boost the selling power of your self-published book cover. The cover art doesn’t incorporate genre cover trends. If you’ve noticed that other books in your genre have a similar look that your book doesn’t share, it might be time to revamp your self-published book cover to better fit readers’ expectations. Cozy mystery book covers, for example, tend to follow a distinctive design style that is quite different from other mysteries and thrillers. Fans in each genre look for visual clues on a book cover to let them know “this is the one to buy.” If your cover art doesn’t fit the genre you’re writing in, your potential audience may not recognize your book as one they would want to read. Make sure your cover is sending the right genre signals! You’ve decided to publish a revised edition. Minor edits such as grammar and spelling corrections don’t require you to republish your book in a new edition. In fact, it’s probably better not to call attention to the fact that you missed these mistakes the first time around. But if you have made substantial changes to your book’s content, it is a good idea to republish it as a revised edition. This is the perfect opportunity to also change the cover, because it clearly communicates to potential readers that this edition has something new to offer. Keep in mind that even traditional publishers routinely redesign covers when they re-release books. But one of the many advantages to self-publishing is that you get to make the decisions about if and when you take that step—and in what direction! If you’re making the change in order to correct what you think were bad original design decisions, however, make sure that you don’t make other mistakes in the process. Question: Which books feature your favorite redesigned covers?